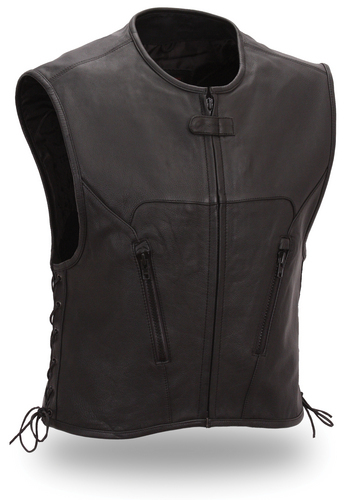 The vest is simply perfect for bike riders, the insulating material acts as a wind-cheater but without compromising with the style quotient. 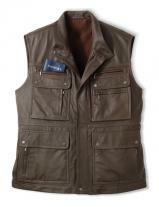 This half vest made from naked leather is unique in its make and styling. 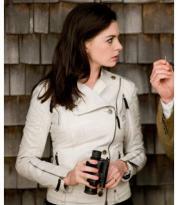 The armholes are trimmed with added leather piping. 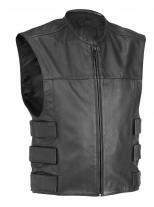 The lining of the vest is of Taffeta black polyester that adds to its durability which is the basic requirement of bikers.